Juvenile. Leonis phase. 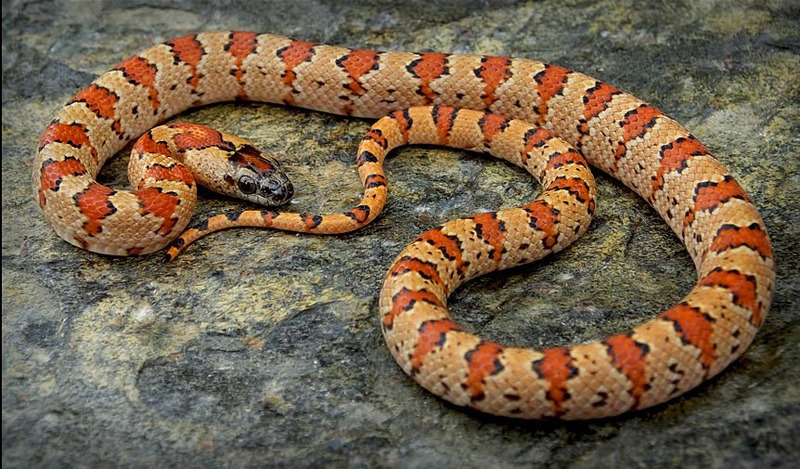 The saddle or band count on both leonis and milk snake phases can vary tremendously. This is a fairly high band count animal with a tendency for butterfly shaped primaries. The adult coloration of this snake will be a dusky bronze with light orange primaries.